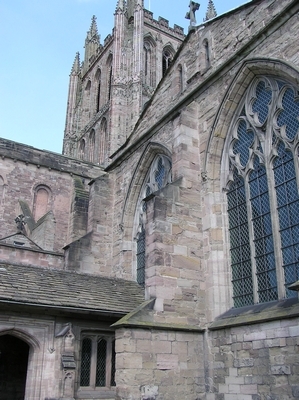 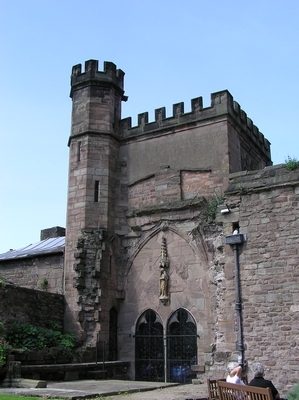 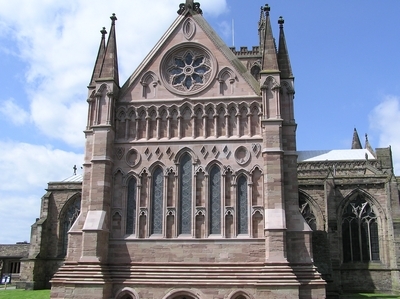 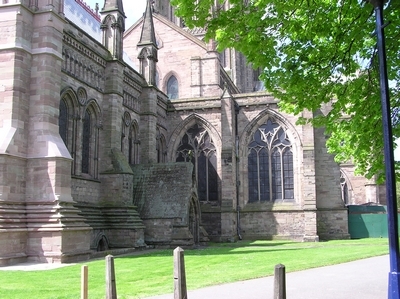 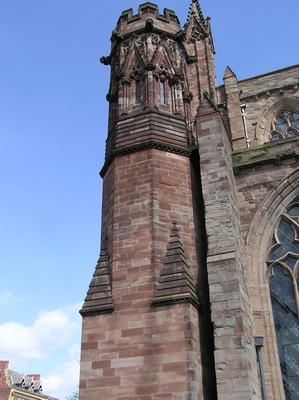 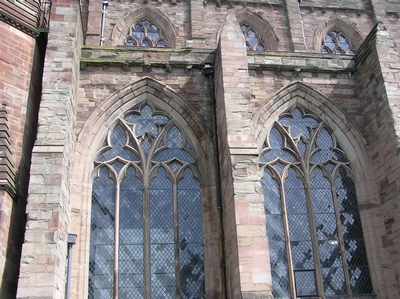 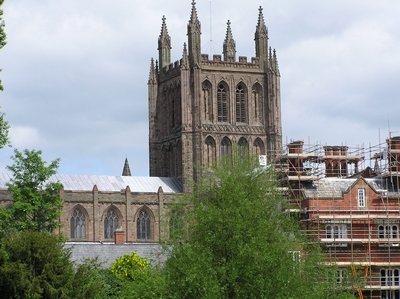 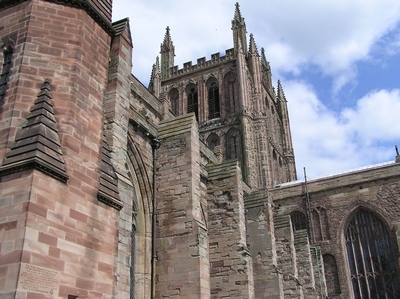 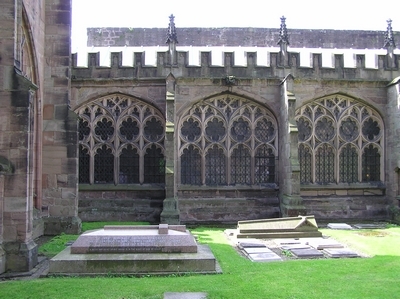 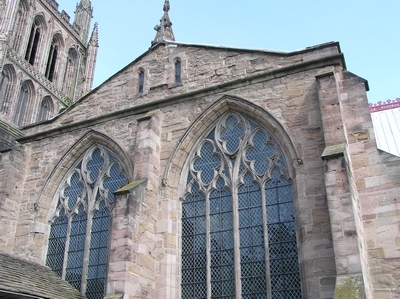 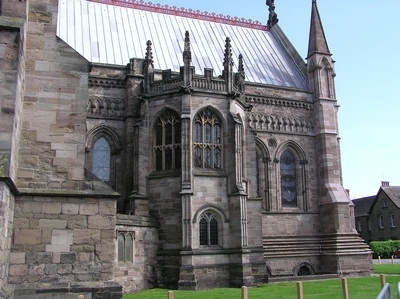 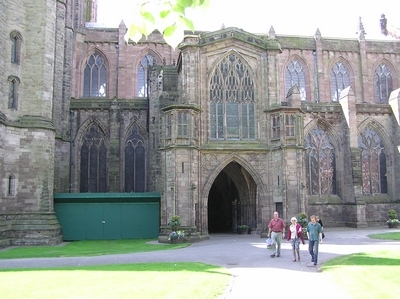 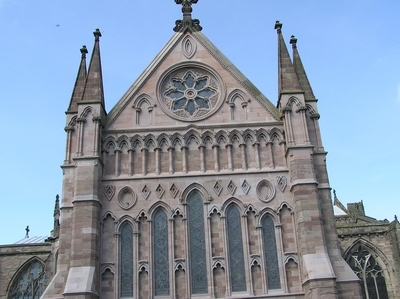 Hereford Cathedral, dedicated to St Mary the Virgin and St Ethelbert the King. 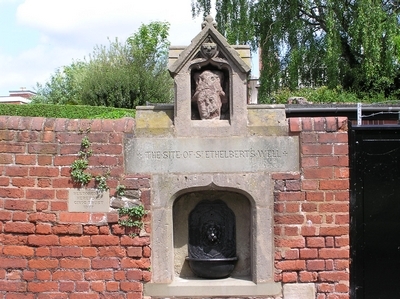 The site of St Ethelbert's Well. 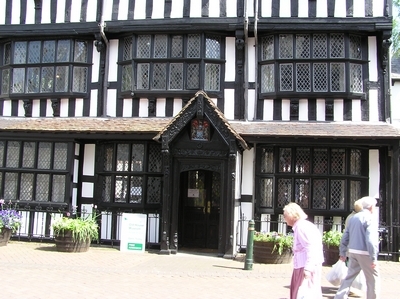 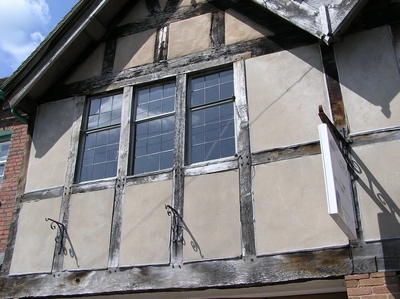 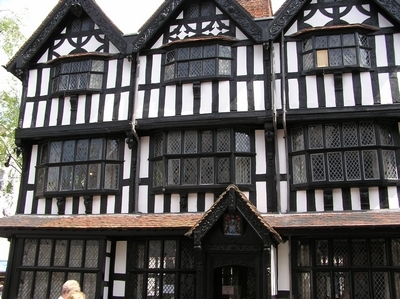 Medieval buildings in the town. 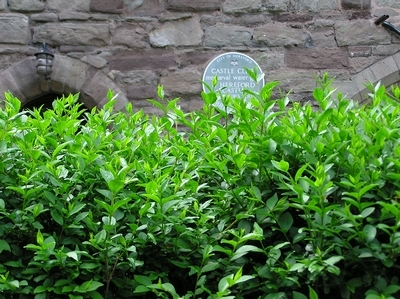 Plaque marking site of castle. 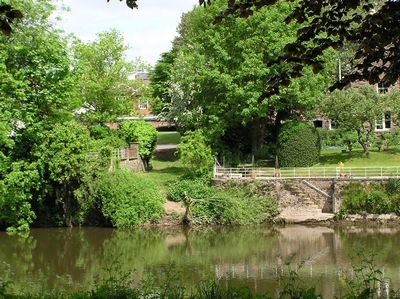 Place to launch boats onto the River Wye. 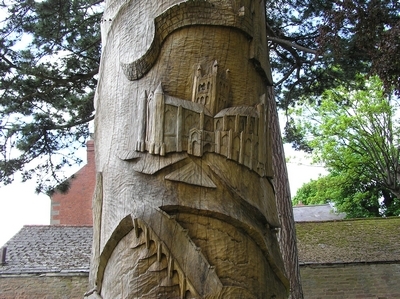 Carving of cathedral on tree. 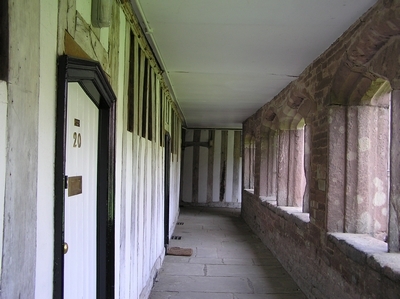 The medieval cloisters, founded by Edward IV. 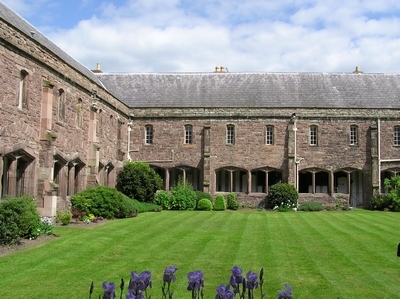 The garden surrounded by the cloisters.